The bull run witnessed in the nation’s stock market in 2017 extended to the first month of 2018, defying profit taking and “January effects”, believed to be a time when investors develop apathy due to pressing demands after the December spending, as the All-Share Index (ASI) close the month with 13.71 per cent rise. 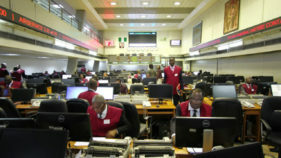 The composite NSE ASI recorded a 13.71 gain at the close of trading for the month of January 2018, the highest over the past two decades, according to data obtained from Investdata Consulting Limited.The significant gain is attributable to the renewed local and international investor confidence in the Nigerian market, arising from the undervalued nature and the intrinsic value inherent in most stocks on the bourse. Specifically, activities in the 22 trading days of January on the NSE were mixed, comprising 14 sessions of up and eight days of down market to close on a positive note at 44,343.65 points from an opening figure of 38,243.19.The market capitalisation for the month gained N2.29 trillion after closing at N15.9 trillion, from an opening value of N13.61trillion, representing a 16.83 per cent appreciation in value. The market had mixed sentiments in expectations of 2017 earnings reporting season as most stocks were trading above book value and new 52-week high.The month’s biggest advancers were second tier banking stocks, which were grossly undervalued, comparing their Book Value to market price during the period. Low cap stocks dominated the top 10 gainers, with the best performing being- Skye Bank, a bank that has not released its audited or unaudited result for two years to the market, to enable investors ascertain its financial health, gained 194 per cent of its opening price. It was followed by Unity Bank, which gained 186.78 per cent; Wema Bank, 182.69 per cent; and Diamond Bank, 112 per cent. There were a few medium cap stocks like FCMB, 106.76 per cent; Sterling Bank, 94.44 per cent; and CCNN, 86.84 per cent; among others.The worst performing for the month were led by Royal Exchange Assurance, which lost 16 per cent; ABC Transport, 16 per cent; LASACO, 16 per cent; AG Leventis, 14.29 per cent; Airservice 14.29 per cent and GSK, 12.08 per cent. The month’s traded volume was up by 215.16 per cent to 23.7bn shares, from previous month’s 7.52bn. 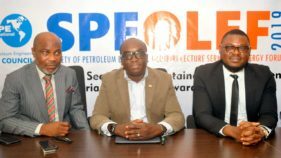 During the month also, the following companies released their 2017 full year results, Vitafoam and Niemth Phram, while quarterly reports came from Honeywell, Flour Mills, Guinness, Redstar Express and others. Also within the period, NB, International Brewery, Union Bank, Lafarge Africa and UACN listed additional shares as a result of right issue or bonus shares. 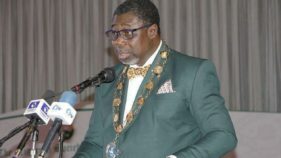 Reacting to the development, the Chief Research Officer of Investdata Consulting, Ambose Omodion, urged investors to take the correction wave opportunity to enter good stocks, especially as over 100 quoted companies with December 31, 2017, financial year-end are due to release their audited report within the 90-day time frame that ends March 31. “Considering the effects of these factors, investors who understand the operations of the stock market should take the correction wave opportunity to enter good stocks, especially as over 100 quoted companies with December 31, 2017 financial year-end are due to release their audited report within the 90-day time frame that ends March 31. “It is obvious that investment is against expectation, therefore, when such expectation is not met there is need to cut losses quickly to protect your capital. As investors, it is expected that you relate the current selling price of stocks on the floor of the exchange with their third quarter filings, looking at their previous full-year Earnings Per Share, as well as the last dividend paid. 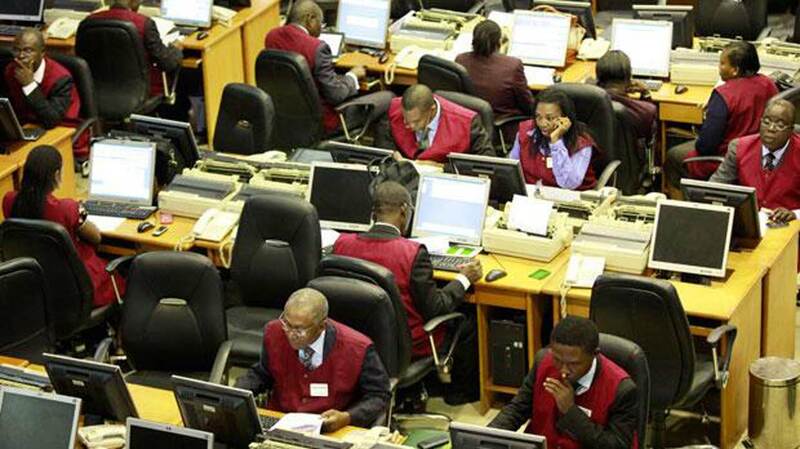 Meanwhile a total turnover of 3.268 billion shares worth N28.123 billion were recorded in 35,761 deals by investors on the floor of the exchange last week, in contrast to a total of 7.157 billion shares valued at N42.545 billion that was exchanged in 39,037 deals during the preceding week. At the close of transactions last week, the financial services Industry (measured by volume) led the activity chart with 2.482 billion shares valued at N17.056 billion traded in 23,039 deals; thus contributing 75.96 per cent to the total equity turnover. The conglomerates industry followed with 375.113 million shares worth N1.047 billion in 1,968 deals. The third place was occupied by consumer goods industry with a turnover of 262.198 million shares worth N6.843 billion in 5,921 deals.Trading in the top three equities namely – FCMB Group Plc, Transnational Corporation of Nigeria Plc, and Skye Bank Plc (measured by volume) accounted for 1.181 billion shares worth N2.830 billion in 5,219 deals, contributing 36.14 per cent to total equity turnover volume.